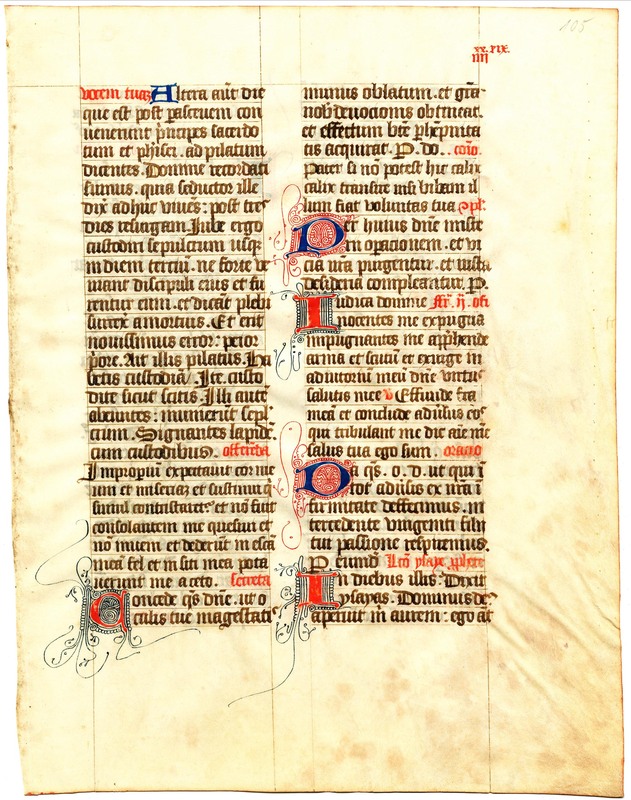 This leaf is from a missal made in the French city of Limoges in the middle of the fifteenth century. It measures a squarish 31 x 24 cm. The main text ink is a dark grey. Some leaves have extensive passages underscored in red. There are alternating blue and red Lombardic initials, and pencil or ink Arabic foliation in the upper right corner. 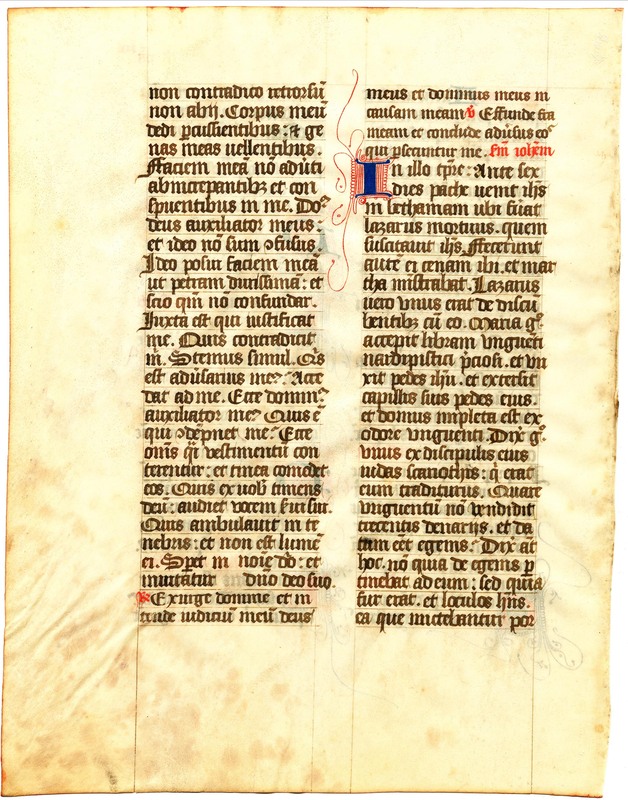 See Denison University Leaf 38 for more information about this manuscript.